Super Junior member Lee Sung Min (이성민) is singing the 2nd part of OST (original sound track) for KBS2 TV drama series Sent From Heaven (aka I Need a Fairy), with the title of the song takes the name of “Oh Wa.” The I Need a Fairy OST part 2 is released on March 29th, 2012. Oh Wa is the ending theme song for Sent From Heaven drama series. The song Oh Wa is the first solo song released by Sungmin in South Korea. Oh Wa is composed by famous musical director Hwang Sang Joon who also produced the OST for TV series God of War and movie Dancing Queen, and written by Mun Du Li. The song has a bright lyric that is full of hope, conveying energy that is full of vitality. 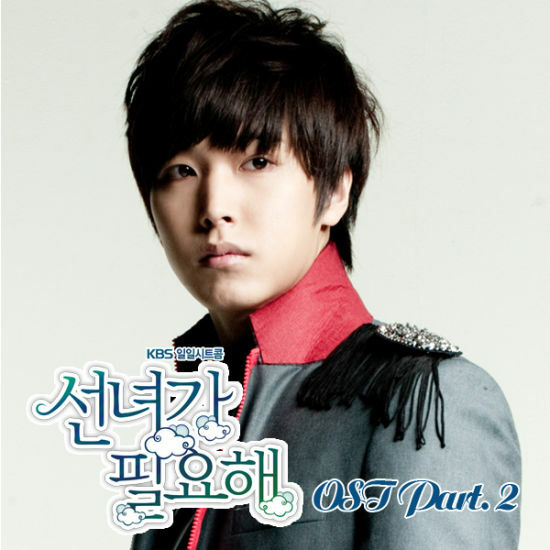 The upbeat melody coupled with sensible voice of Sungmin perfectly produce an attractive song. Listen to Oh Wa on YouTube.